Green Outdoor Lighting partners with contractors across the country. Green Outdoor Lighting offers products manufactured by B&B Mfg. in Nashville, TN. These products have been used nationally & internationally since 1995. We connect homeowners and their lighting ideas with those that can make it happen using highly efficient products with today's energy use considered during product design. Located in the Green Hills area of Nashville, Tennessee, Flower Mart provides a one of a kind shopping experience customers have come to expect. As the area’s only Garden Center, the store specializes in a wide variety of annual and perennial flowers, tropical plants, trees, shrubs, landscaping materials, floral arrangements and assorted containers as well as candles and home and garden décor. Customers love being able to pick up their gardening needs along with expert advice and customer service that they can count on from the friendly and knowledgeable staff at Flower Mart. A team of professional designers are at your disposal to create special floral arrangements for personal and business deliveries or develop a landscaping plan for your home. We invite you to shop our online selections or come visit us in person to see all of the home and garden products we carry in stock. We specialize in creating personalized outdoor spaces that are tailored to each individual client. We install paver patios, walkways, courtyards, retaining walls, and driveways. We also design outdoor fireplaces, pool decks, and living spaces. Full service supplier of all types of trees, shrubs, mulches, soils, soil blends, soil amendments, seed, fertilizers, railroad crossties, stone, and other landscape materials. We provide services to wholesale and retail customers. We provide our own sculpted stone. 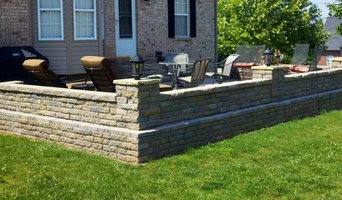 If you have a project that has concrete block, stucco or plywood and you would love to cover them up with some beautiful stone at an affordable price then you should check out having some sculpted stone applied to your project. It is very affordable and has a lasting effect. Jobs that we have done in the past have been around for over 20 years. The product is manufacture on site. We have 2 styles and colors at this price and they are both attractive. It is a great way to cover up those ugly blocks without spending a lot of money. No need for brick or rock pockets or footers for this product. We have a system that goes under mobile homes as well and is 10.00 a square foot. We did the Derry Berry Heating and Air in Gallatin. We also did most of the Model homes for Fleetwood Homes.We also did the Model home for Goodall Reality in Gallatin. Give us a call today and get an estimate. Labor and materials are all included. We are half the price of other cultured stones.We service the Nashville, Murfreesboro, Gallatin,Hendersonville, Mt Juliet, Hermitage and Nashville area. Horizon Landscaping with All Season Greenhouses, Inc. offers full scale installation and maintenance programs for landscape plantings and beds, turf management and seasonal color. Specializing in exclusive estate properties and commercial market accounts we are dedicated to providing unsurpassed service and knowledge. Designers, Builders, Suppliers and Installers of Indoor Grow Rooms and Indoor Growing Furniture / Appliances. We are a Controlled Environment Agriculture company focusing on Organic, Hydroponic and Aquaponic Gardening and Food Production. Hydroponics and Aquaponics are becoming more and more common as environmental concerns rise. We sell the finest non-GMO, open-pollinated heirloom garden seed. USA grown and packed with love in Nashville, Tennessee. 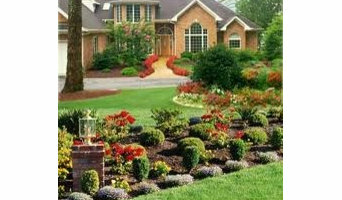 We are a full service garden center, nursery, landscape, and hardscape company. Murfreesboro's premier source for gardening, in season produce, bedding plants, herbs, perennials, shrubs, trees, outdoor living, and much more! 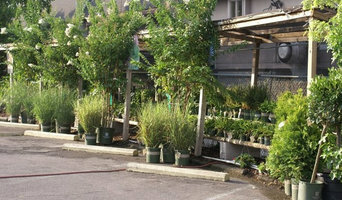 Creekside Garden Center was established in 1992 by two lifelong friends and Nashville natives. Todd Estepp and Phillip Gentry decided to take their experience in landscaping and create a local nursery that would be a familiar and friendly spot for Nashvillians to buy the highest quality products at affordable prices. The name comes from the garden center’s unique location, nestled between a fork of Richland Creek in the heart of Belle Meade. Even though Creekside carries top of the line plants, trees, shrubs and herbs, Phillip and Todd take great pains in maintaining a casual and relaxed atmosphere, where very often they are on a first name basis with most of their customers. If they don’t know you, they really want to! So be sure to introduce yourself and ask as many questions as you need. If you’ve been dreaming of a beautifully landscaped property with a water feature or a concrete fire bowl but don’t know where to start or what landscape supplies to buy, it may be time to look into garden and landscape suppliers in your Tennessee area. From retaining walls to raised garden beds, these professional vendors can make your backyard the oasis you’ve been longing for. What’s more, many of these professionals can help you take your ideas from design to installation and provide garden care and yard maintenance according to your Nashville, TN climate. Here are some related professionals and vendors to complement the work of garden & landscape supplies: Landscape Contractors, General Contractors, Landscape Architects & Landscape Designers. What if you would love to grow your own vegetables but have site limitations? Many garden supply companies offer planters and containers that are up to 42 inches tall. For those who live in colder climates, consider a greenhouse — just the thing to enjoy starting plants or growing exotic blossoms that wouldn’t quite work in your Nashville, TN climate. Find garden and landscape supplies on Houzz. Search the Houzz Professionals section for Nashville, TN garden and landscape supplies. Browse photos and read reviews. 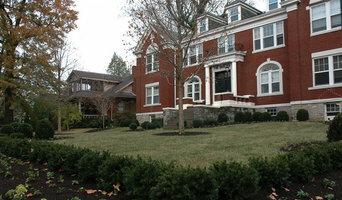 You can also explore full-service Tennessee landscape architects and garden contractors.